and spoke and slept for 24 hours of the day, was open all the time. in Tiruvannamalai. He never accepted garlands and bouquets. gold coins and flowers, all non sense] and nice flowers made head gears. All disrespect to Sri Sankara. When you follow Sri Sankara who said that even "my body and mind are imaginations - saliva spit by prarabdha", ie. the effect of karmas in previous births, how can a guru who speaks for Sankara accept such adornments? Bhagavan Ramana is a rare gem, a Ruby of shining brilliance. I had one other question regarding the significance of Arunachala. but ultimately the Self is not tied to any one physical area, correct? Just to be aware of them is a blessing, but not to be used as a "meditation focus"? I find this difficult to verbalize. I hope the question is clear. meditation, but also to investigate where from the mind jumps out. Ever as 'I' in the Heart you dance. Hence are You called the Heart. Here, Arunachala, Heart are to be taken as Atma to understand the verse better. That's why Bhagavan Ramana was GURU. You see, to my mind, the GURU is very rare. The others that are regarded as GURUS , I regard them as Spiritual Teachers. GURU is quite on a different level. Many so called GURUS came and bowed before Ramana. What does it say to You? Even Nisargadatta, who is quite rare too, bowed before His nephew (correct me if I am wrong) as a respect for Bhagavan. I don't want to exaggerate, but truly, I can guarantee, that there is none of such caliber as Ramana was (and IS). You can call that blind faith, but You cannot deny facts. in true sense of the term like the Hill, He was watching everyday. might flourish [in this world]. Again, thank you both for responding. My question is not regarding Ramana as Guru... of that I have no questions at all. I am simply trying to understand how to respond to Arunachala. Clearly there is a great importance attached to this hill in Bhagavan's work. As a western devotee I am having a hard time understanding this, but I feel this will change in time. When I was 16 or 17 years old, an Indian friend of my mother travelled to India to collect some herbs to cure my mother of cancer which was ravaging her body. He told her that they came from a holy mountain and would therefore cure her, but never mentioned the name (my mother could not take the bitter herbs so they were never put to the test). I was intrigued and dismissive that anyone could think of a mountain as holy. This event stirred something in me, a fascination for India began to develop, but I still did not believe that a lump of rock could be considered holy and that attitude continued even after I read about and became a devotee of Bhagavan years later. Slowly that attitude mellowed over time, but the uncertainty remained, until I actually came here in 1997 for the first time and experienced the power of this place. It is very real and very subtle at the same time, something that words cannot convey. It is difficult for most people in the West to be passionate (in the sense of devotion/worship) about a hill of rock ... though I must say that Indians, being a more emotional and sensitive people have no such difficulties. So my suggestion is to just sit quietly and look at a photo of the hill and you will notice something happening, though you cannot put your finger on it. There is a fascination that slowly grows deep within. Photos of other mountains may evoke the idea of majesty in your mind, but this is something quite different. You know I hadn't thought of it until now, but most of the places humans consider sacred... are made by humans. Kind of makes sense to give a grand, natural and beautiful brushstroke some respect.
" Ah ! What a wonder ! It ( Arunachala ) stands as an insentient Hill. Its action is mysterious, past human understanding. From the age of innocence it had shone within my mind that Arunachala was something of surpassing grandeur, but even when I came to know through another that it was the same as Tiruvannamalai, I did not realise its meaning. When it drew me up to it, stilling my mind, and I came close, I saw it ( stand) unmoving. " Yes. What Graham Boyd said is totally true. I have got a comp. The magnetism of the Hill is indescribable. 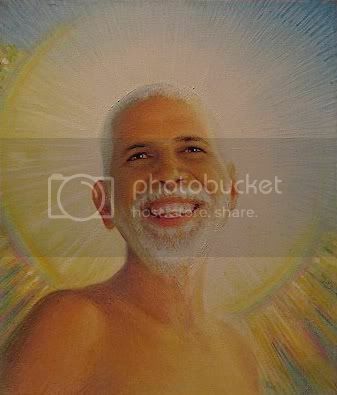 Bhagavan got into the net of the Hill the moment He thought of Arunachala. hold its prey, O Arunachala? Ramana. This is my honest experience.